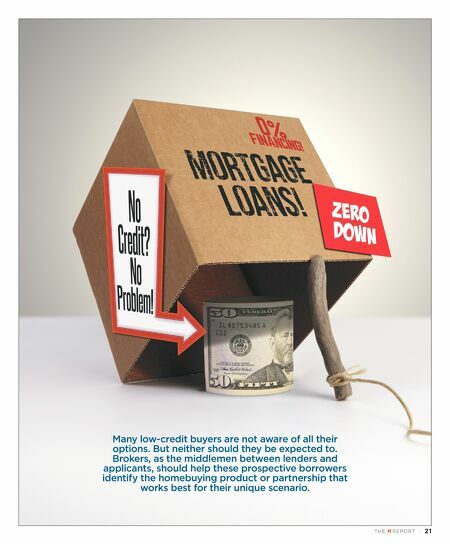 TH E M R EP O RT | 21 FEATURE Many low-credit buyers are not aware of all their options. But neither should they be expected to. 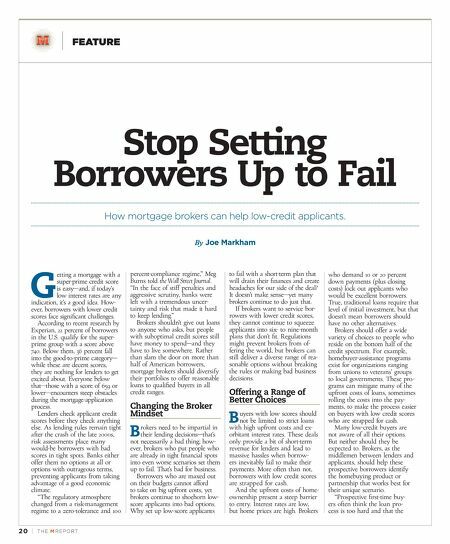 Brokers, as the middlemen between lenders and applicants, should help these prospective borrowers identify the homebuying product or partnership that works best for their unique scenario.